09/13/2018 - When the USPS made changes to Chapters 5 and 7 of the Postal Operations Manual (POM) in 1995, APWU challenged the changes as not fair, reasonable, and equitable. While USPS agreed to restore the language in 2007 and again in 2012, they never did. APWU never stopped fighting. On August 28, we reached an agreement with the USPS to restore the language within 12 weeks. 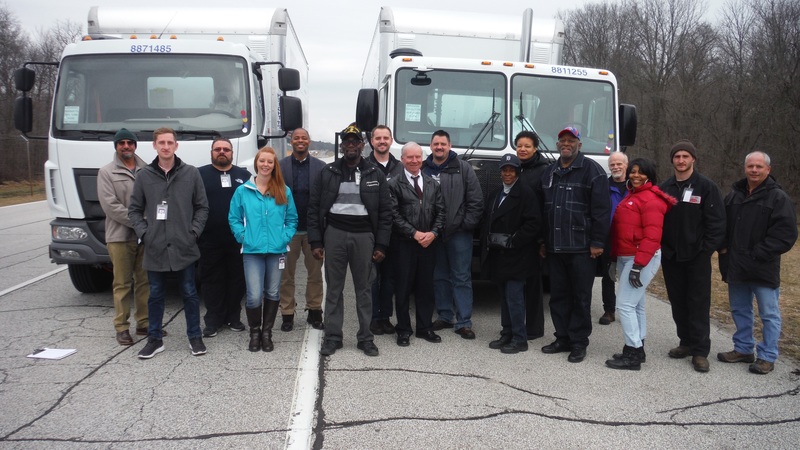 "This language is significant because it protects work that is presently being performed in the MVS Craft," said Michael Foster, Motor Vehicle Service (MVS) Division Director. In addition to winning the fight to restore POM language, APWU MVS teams reached an agreement for the Holiday Peak Season Exception Periods. The previous Memorandum of Understanding (MOU) for MVS was signed as part of the 2015-2018 CBA, and will expire September 20 with the CBA. A new MOU was necessary to ensure our full rights are upheld during the holiday season. APWU negotiators were able to reach a fair deal with the USPS. Under the new MOU, the Peak Season Exception Period will run from November 10, 2018 - Jan 4, 2019, and the USPS is required to "make every effort to ensure that available MVS craft PTFs are utilized at the straight-time rate prior to assigning such work to MVAs." Employees will be financially liable only when loss or damage tothe scanner resulted from deliberate misconduct. The Scanning Duty Settlement can be found on the MVS Division section of apwu.org. On Feb. 26, 1995, the Postal Service informed the APWU that to be consistent with the trucking industry and its own contract drivers, USPS would voluntarily mirror DOT requirements covering physicals for Commercial Driver’s License (CDL) employees, including the issuance of a medical card and drug and alcohol testing. The federal government is exempt from Department of Transportation (DOT) regulations, under 49 CFR 390.3(f)(2). This means that every USPS employee operating a commercial motor vehicle is required to have a standard DOT CDL physical and participate in drug and alcohol testing procedures. Under normal procedures, the DOT-required physical is administered every two years. Under certain circumstances, such as for employees who may have high blood pressure, obstructive sleep apnea, diabetes and other health conditions, the certifying physician may grant a medical card covering less than two years. By letter dated April 9, 2014, the Postal Service advised the union that medical personnel and contractors are instructed to follow the Federal Motor Carrier Safety Administration (FMCSA) Comprehensive Health Services guidelines, recommendations and standards. Since these procedures affect working conditions, the policy must meet the standards of being fair, reasonable, and equitable. 3. USPS regional medical personnel unilaterally changing the CDL medical card requirement standards. The APWU has initiated several Step 4 disputes on these changes. Additionally, the requirement to sign a medical release of all information maintained by the employees’ personal physician may violate the employees’ privacy and involve possible HIPPA violations. 49. What is the process for resolving Department ofTransportation medical disputes? Response: An employee may appeal an adverse result of a certifying examination to the District Occupational Health Services office with a copy of the concern, without revealing the medical condition in question, to their immediate supervisor. If the physicalis performed by a community based contract physician, review of the examination results will be done by the Senior Area Medical Director. If the Medical Director review agrees with the current examination, the employee may ask for an independent medical assessment by a physician jointly chosen by the Postal Service and the employee. The results of the independent review will stand as the final decision. The independent review is paid for by the USPS.